Dedicated to being your expert problem solver. Copy the characters (respecting upper/lower case) from the image. This question is for testing whether you are a human visitor and to prevent automated spam submissions. 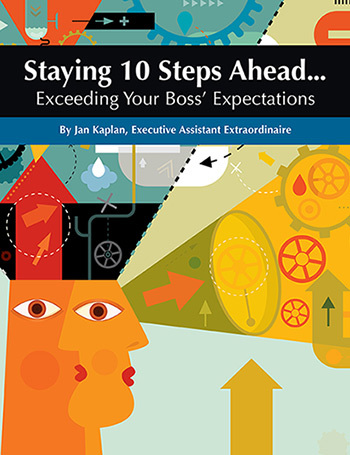 Jan Kaplan's new E-book is available now! This will help you make your boss look like the rock star, and most importantly, it will keep you shining where it counts... keeping your boss in the know... and you, always 10 Steps Ahead!